The Paying For It Players return! 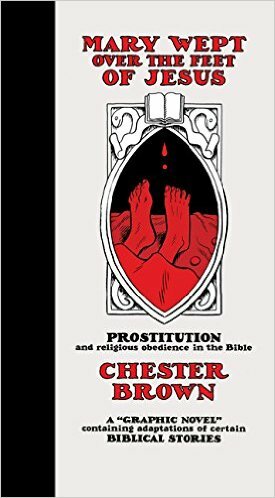 During the Toronto Comic Arts Festival, Chester Brown and Nina Bunjevac rejoin the show to perform a chapter from Chester’s amazing new book, Mary Wept Over the Feet of Jesus ! 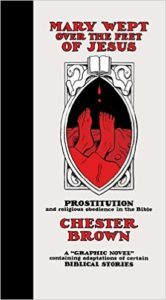 Then we talk with Chester about his understanding of God, the role of prostitution in the Bible, his favorite stories from the Hebrew and Christian gospels, and the girlfriend who accidentally spurred his interest in Biblical scholarship. Then Nina Bunjevac discusses her response to the book tour for Fatherland , laments the loss of small bookstores in North America, explains why she’s changing course in her comics career, and more! Give it a listen! And buy Mary Wept Over the Feet of Jesus (Drawn & Quarterly)! Plus, this month’s #NJPoet’s Corner with Charles Bivona talks about his evolution on Twitter! Go listen! Enjoy the conversations and the performance! Then check out the archives for more great episodes!